If you're just getting into the property business and are testing out how it feels to be a Landlord, or maybe you've done it for a while but things aren't moving as smoothly as they once did - it's important that you gain as much knowledge about the industry as possible so you aren't constantly worrying about making a mistake. One of the biggest grey areas that tend to cause Landlords a little bit of an issue, are the tenants. While paperwork may be a bore, once you get your head around it it's easy enough to tackle. Tenants, on the other hand, can be slightly more difficult because they're people - if they aren't happy, they will definitely tell you about it. Here are the most common issues, and how to deal with them. If you have mentioned in your lease contract that the property comes with appliances, then you are legally in charge of making sure they work how they should, and if they do break, you need to repair them immediately unless you state differently. For example, you can include a washing machine, but state that it is down to the tenant to look after if any problems arise. Buying a new appliance is never cheap, but one thing that will make it easier is getting everything sorted out before a renter comes in. Bear in mind that if you don't do what is required of you, the tenant has more than every right to pursue a claim against you. 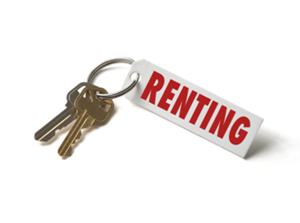 You may find that some of your tenants aren't paying their monthly rent, and this can be down to many different reasons. They might refuse to pay purely because they're being difficult and don't feel like paying, or it may be because they simply can't afford it right now. This is why communication is absolutely key so that you know where your tenants are at, as it really may not be their fault at all. Understanding and trying to negotiate is always better than causing an argument as this will only make everything worse. One thing that you can do is to break down the payment process so that they can have partial payments that make things easier for them without the pressure of a large sum of money every month. There may come a time where you want to sell the property. That could be due to the people that are currently living there, or you just not wanting to own the specific property anymore. Whatever the reason, you have every right to sell and hand the place over to a new owner. If someone is still living there, as long as the buyer knows all the terms of the tenancy contract, there is no reason you can't make a deal whenever you want. Sometimes though, you may find that the tenant is being difficult or abusive, making things awfully hard to move the process along. If you're struggling to sell a home due to tenants that are causing you grief, then the flying homes website will give you all of the advice that you need if you're not sure what your next move should be.